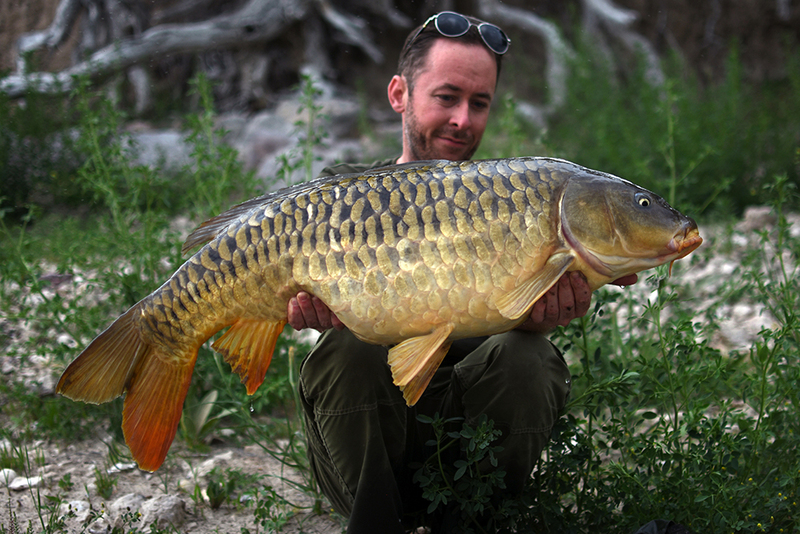 A special carp that would not look out of place in Oxfordshire! In my early teens when I began exclusively pursuing carp I would absorb all the information I could which primarily came from the UK, and strangely enough was written by some of those who may possibly be reading this article. This content from the UK was in stark contrast to the environment, fish, and approaches in my home state of Texas, I admired the quiet and secluded lakes that were nestled in the English countryside and could see why the sport was so appealing elsewhere. As time passed I believe I have become as naturalized to this fishing as the carp has become naturalized to the United States, and no longer view the incredibly large waters as an obstacle, but as absolute freedom. During the spring of 2018 a small group of dedicated carp anglers including myself traveled 15 hours northwest to fish a remote lake in the open prairies otherwise known as the ‘Wheat Belt’ aptly named for the hundreds of miles of subtle sloping hills with the occasional cap-rock adorning the seemingly infinite miles of agriculture with the random town that may have seen it’s boom in the 1950’s but is all but vacant today. 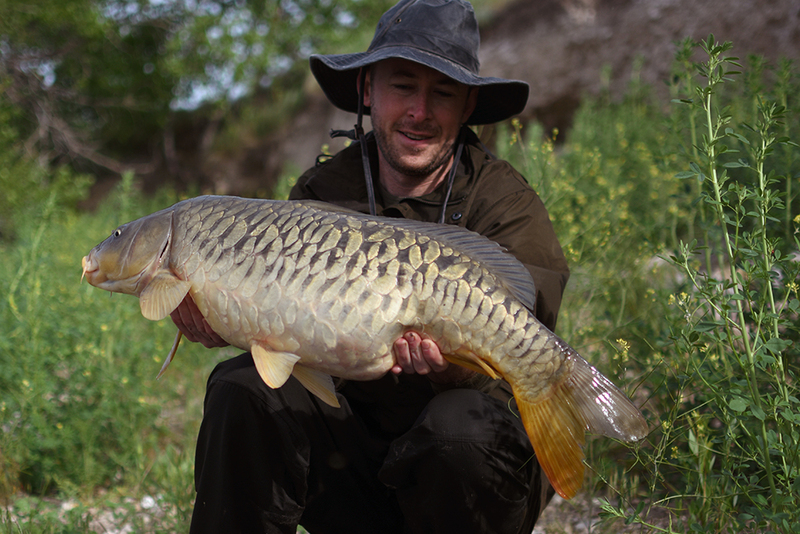 There was no twisting of the arms when the images of large dark mirror carp, and Rudd came up while studying the lake. Leaving Texas’s 100+ degree weather Fire Ants, Alligators, Snakes and fleets of summer pleasure boaters was an easy sell to enjoy a week in a cool dry climate where I would hopefully not see another human being or animal that would put me in the hospital, if a heatstroke wouldn’t do it first. 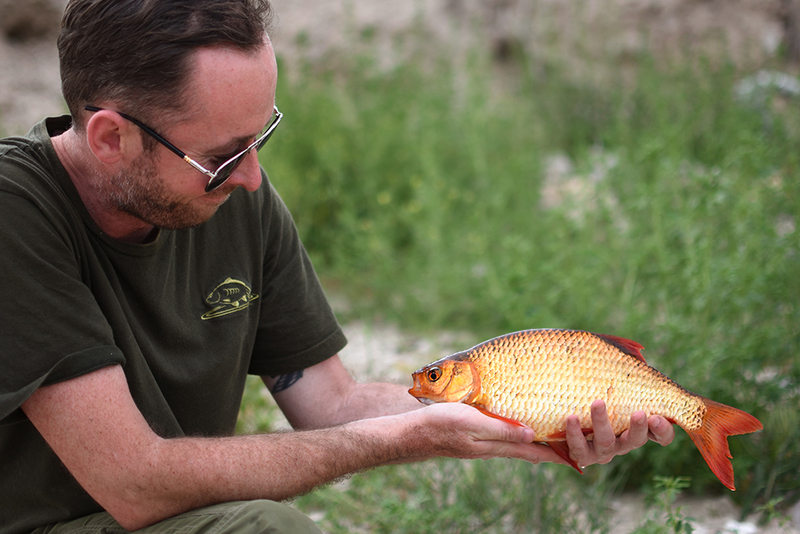 There is little to no provenance on the carp in North American so the idea of a somewhat mythical oasis that looked as though it was the backdrop for an episode of Little House on the Prairie had me conjuring up images of how the carp and even more peculiarly the Rudd wound up in such a place? The delivery of these fish likely came by rail from the the early 1800’s to early 1900’s and seemed as though they were put there for only us to enjoy since there was little or no local interest in them aside from a few who would rather see arrows through their backs when the carp move into flooded grass to spawn. Arriving late at the lake I immediately placed my bedchair aside from my good friend’s van to sleep in the crisp 50-degree air. Awaking at the first glimpse of sunlight I check my phone to see that it’s 4:30am?! Naturally Zach and I walk the recessed drought stricken banks scanning the glassy water for anything but nothing presents itself. A strong prairie wind stirs up the water around noon revealing murky lateral streaks throughout the water alerting me to some sort of discolored bar that was later told to me by a local was an old road bed prior to the damming of the lake. Where a 1940’s Chevy pickup once drove I now find it a perfect place to lay a corked tiger on a size 6 Cryogen hook. 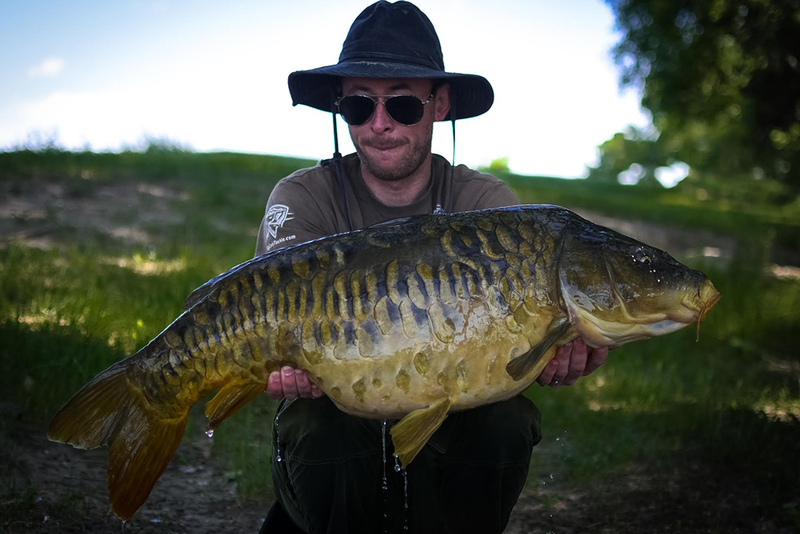 A majestic, wild and very scaly mirror caught in a storm! After marking extensively this feature was my only hope as the rest of the area was a sandy plateau devoid of any other feature. Two days without carp went by and a discussion of driving an additional 10 hours to another lake was making its way around like a dirty rumor that nobody wished to confront, until late in the morning when away from my receiver a clutch could be heard peeling line. The first fish immediately wrapped herself around the chain of a no wake buoy, and this was one of those instances that could either put me in a spot sweet as saccharine or loose the fish that I traveled so far to see. Coming loose from the buoy with pike and bass fisherman’s discarded line attached to mine a stout 30+ pound mirror made its way into the net and the feeling of malaise dissipated until the all too familiar sound of a generator paired with a dozen flood lights made its way through the darkness of the lake later that night. What was on the lake was more than just a boat with a lot of noise and light it was a clash of ideals and ethics, and a sickly reminder that things in the USA are improving for the carp, but we still have so far to go. Fortunately the attitude and protection of the fish is changing due to groups such as the American Carp Society. In one of the most bizarre instances of calculated regional weather I have seen each evening would greet us with a thunderstorm which would last for a couple hours and suddenly leave with a few loud booms echoing there would be no encore. 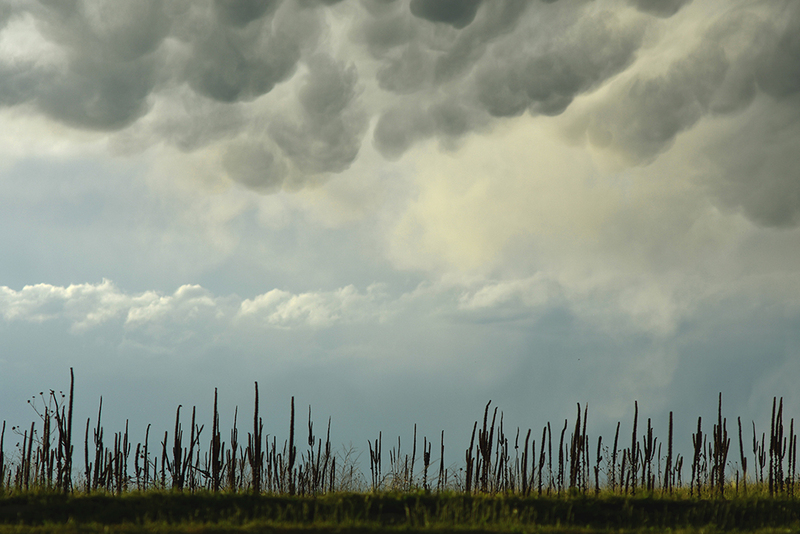 While the locals tolerated this strange occurrence it was a feeling of unease for me seeing as those such storms further south can bring damaging winds and tornados, so when an alarm signaled during one of these events I had rehearsed earlier how I would go about it. Keeping as much of the rod submerged in the water and wading out to a comfortable depth making large side swiping motions as a full electrical display was overhead. Given the the unnerving circumstances the cautious side of me was wishing it would be a smaller easier fish to manage; however, Zach’s thumbs up as the fish neared closer to the net indicated this wasn’t the case as I glanced at the enormous full-scaled mirror. All the electrical eminent death was out of mind and out of sight momentarily. Since first light on the first morning one particular thing was absent from my session, and that was the Rudd. Now my knowledge of these fish is as limited as their presence is in North America; however, a good friend of mine had caught many on the fly previously so I had some insight into whipping the fly in front of the magenta and black tail in the water as the fish vanished the tippet made a dart to the right. Make fun of me all you’d like but I had no clue how to handle the fish. Does it go in a bucket? Do we need a mat? Or one of those Drennan Keepnets? Ultimately the fish went from the mat to a bucket of water once filled with particles as I prepped for photos. Holding all 1lb or so of this fish was the swan song of success for me this session along with the one evening left with our nightly electrostatic light show. The 15 hour ride home was a healthy mix of laughter, and serious discussion to where we will fish next which has been quite cyclical for awhile now on such lengthy trips. While this prairie oasis only seems tangible and real while I am physically there the dust that gathered from the high winds a year on still can be found on much of my luggage and I have no intentions of cleaning it off. Daren ‘Tinpot’ Norman – A Cassien hit! Kev Hewitt’s overnighter 40lb common! ← Jack Reid – No boat, No buzz!